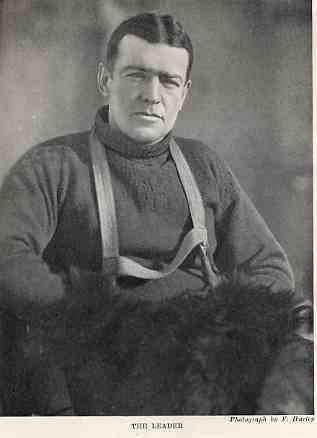 Sir Ernest Shackleton. 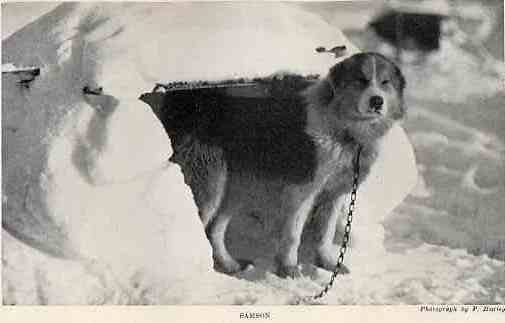 The canvas straps on his chest are of a sledging harness. 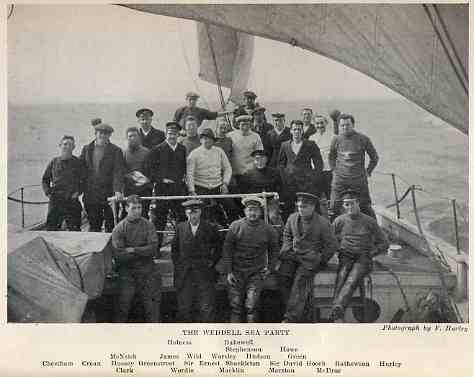 There were two ships involved in the Trans-Antarctic Expedition, one that was to set out from the Weddell Sea side of the continent and the other setting out from the Ross Sea to lay depots for the Weddell Sea party to find. 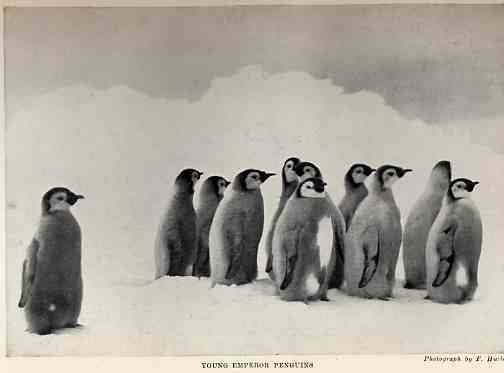 A crÃ¨che formed for mutual protection and warmth when the parents have gone to sea to find food. 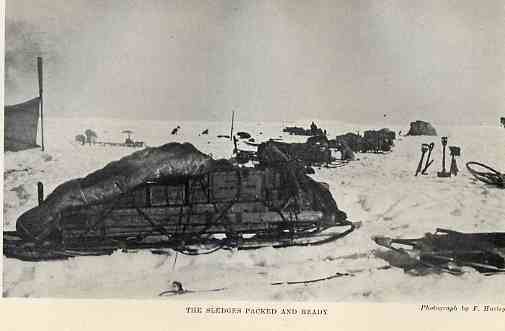 Though Shackleton took sledging dogs with the expedition, the expedition members were still not fully skilled or confident in their use. 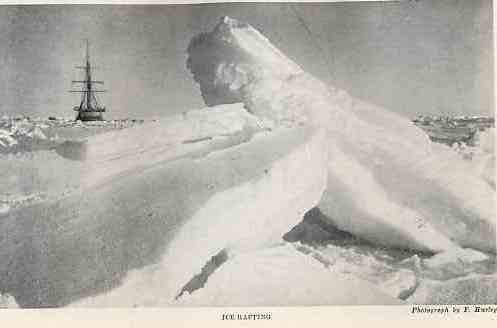 Much of Antarctica is surrounded by ice shelves which prevent landings for tens or even hundreds of miles at a time. 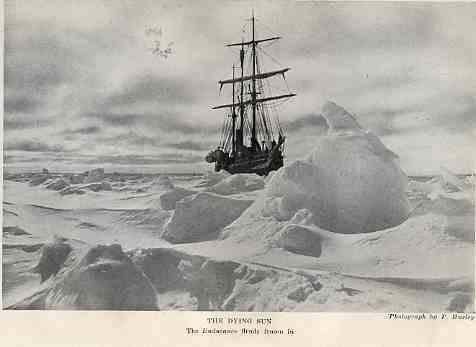 The Endurance well and truly caught fast by now in the days before the time when the sun disappears below the horizon for the winter months. 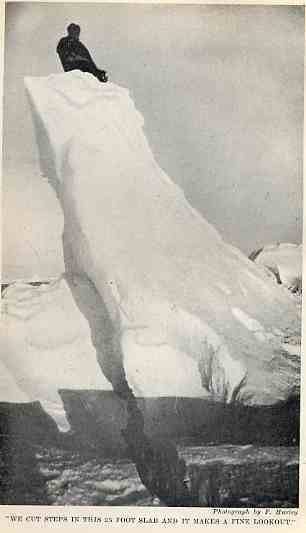 During the winter months ice-bergs become stuck in the pack ice around them and are relatively stable allowing them to be approached on the ice. 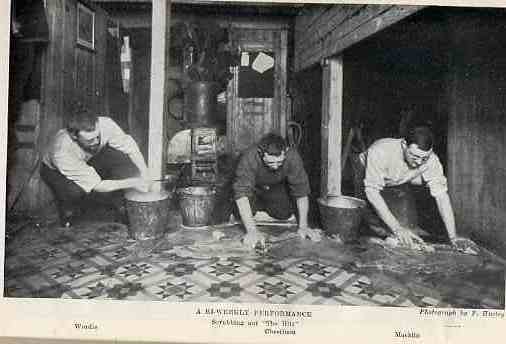 Scrub-out, part of the regular routine of hygiene and maintenance of any base even today. 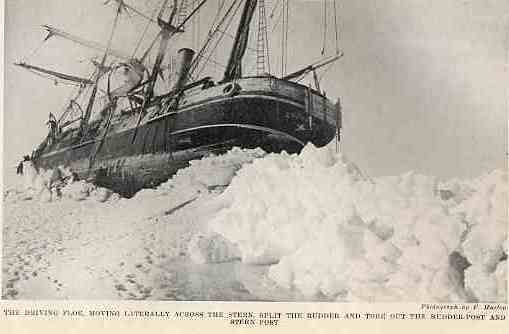 Leaving a ship or base in a white out can be a disorienting experience, lines of some sort between features enable men to get around without wandering off and potentially dying. 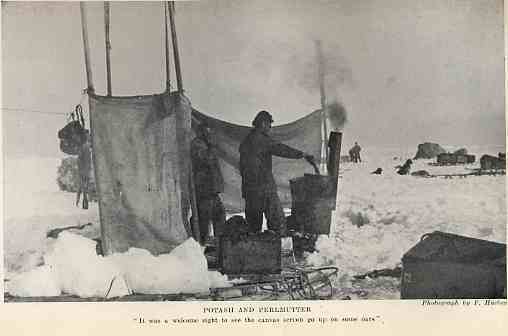 These days, empty oil drums often serve the same purpose. 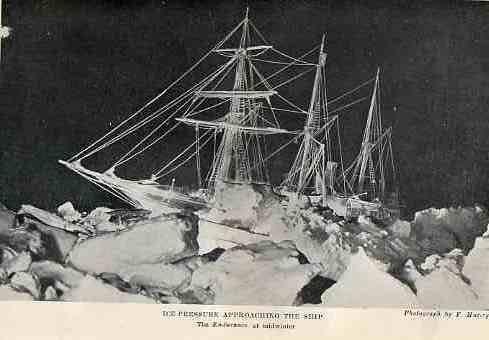 "During the night take flashlight of ship beset by pressure. 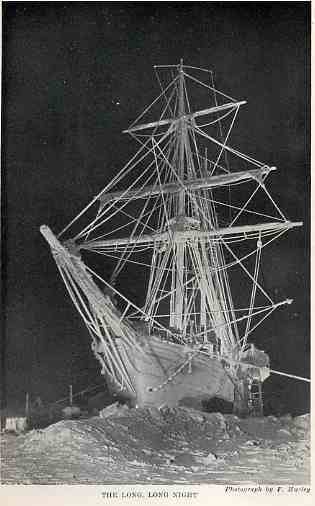 This necessitated some 20 flashes, one behind each salient pressure hummock, no less than 10 flashes being required to satisfactorily illuminate the ship herself. 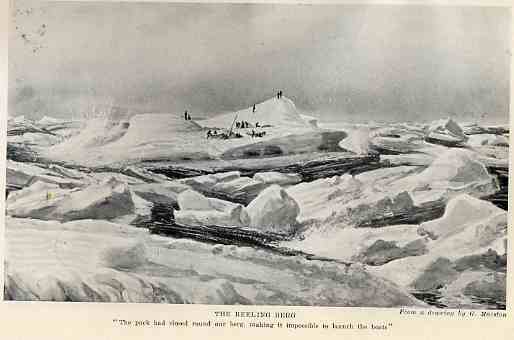 Half blinded after the successive flashes, I lost my bearings amidst hummocks, bumping shins against projecting ice points & stumbling into deep snow drifts." 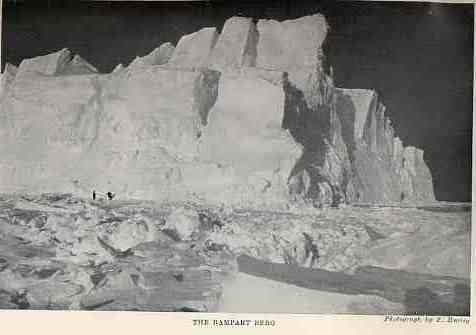 - Frank Hurley, diary 27th August 1915. 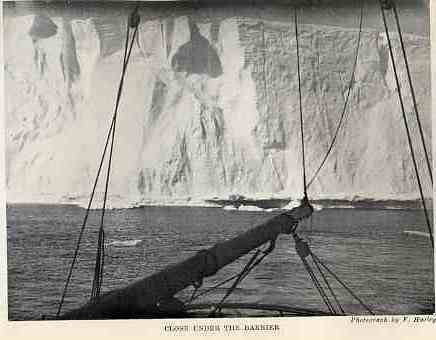 When the pressure builds, sometimes the ice has nowhere to go but on top of itself. 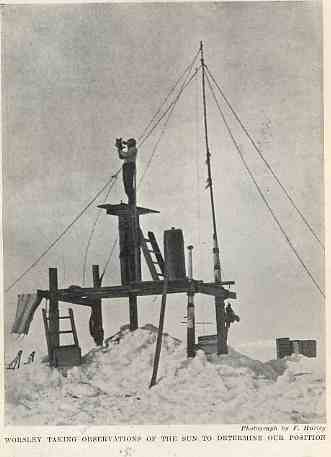 After the winter months of darkness, the sun re-appears over the horizon to herald an Antarctic spring, note the rigging covered with ice crystals. 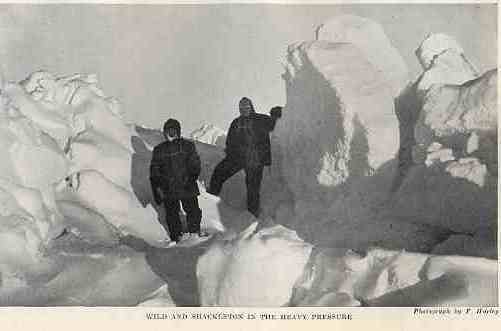 Pressure ridges can throw up some very high ridges making rugged terrain which is difficult to travel over. 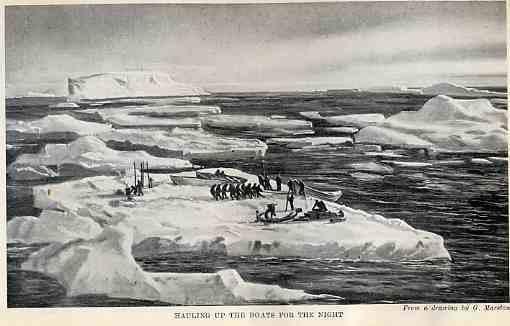 Pulling a small sledge through the pressure ridges and difficult ice conditions. 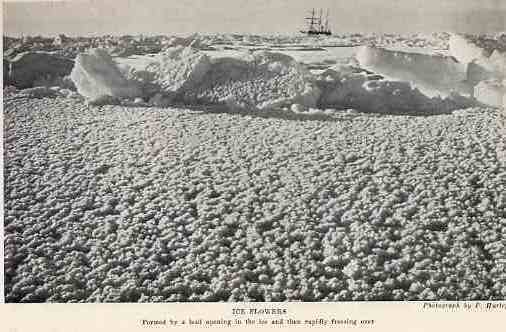 The second most numerous large mammal on earth after man are very dispersed throughout the sea ice. 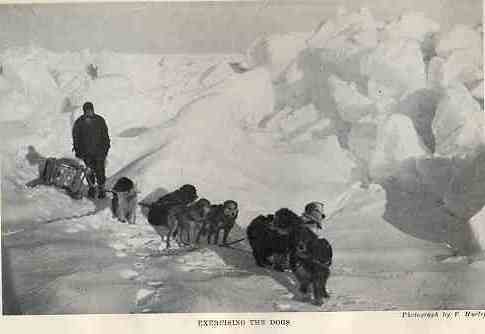 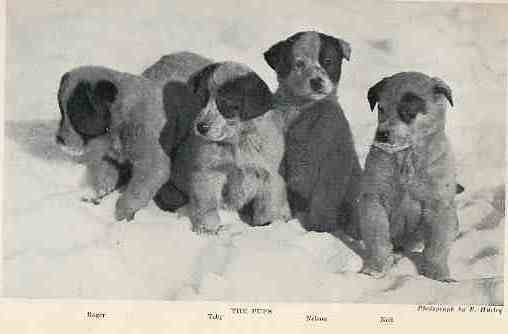 They provided the staple diet for the dogs and also the men on many expeditions. 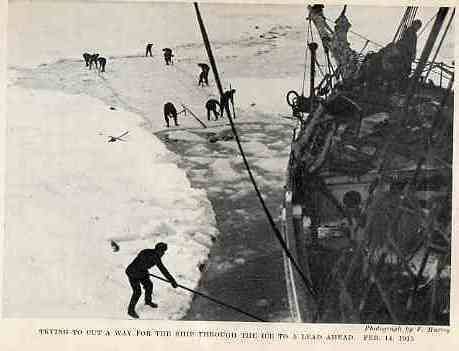 Viewed from a different angle, it became clear that the Endurance had little time left, Shackleton and his crew would face their situation and realise they had no-one to rely on but themselves. 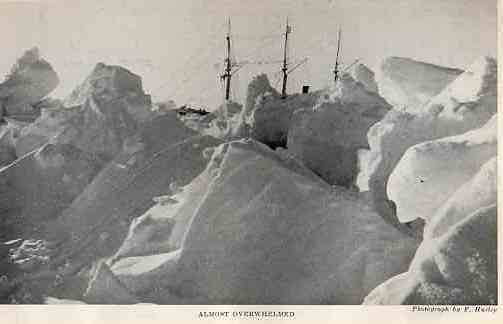 Seen from behind a pressure ridge. 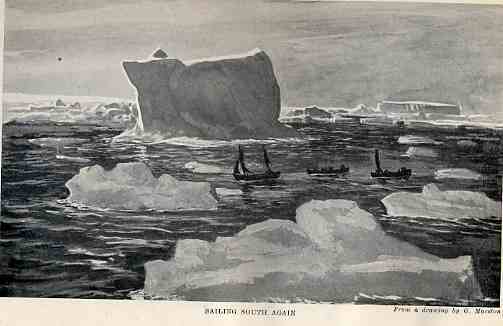 A sketch describing how the Endurance was assaulted from all sides. 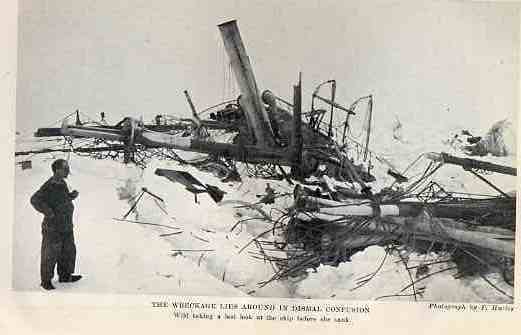 Endurance crushed to death by the icepacks of the Weddell Sea. 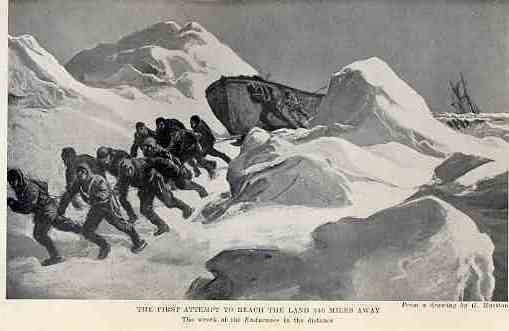 The sinking ship, watched by the dogs, 1st November 1915. 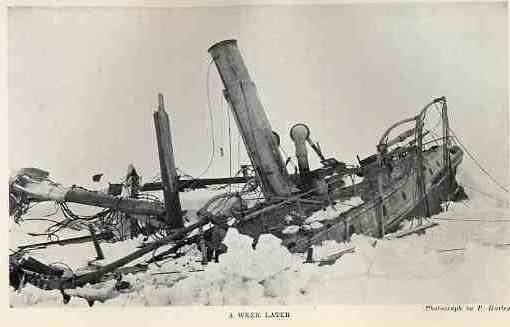 The Endurance is completely destroyed, all that remains is for the ice to open slightly and allow her to sink into the ocean depths. 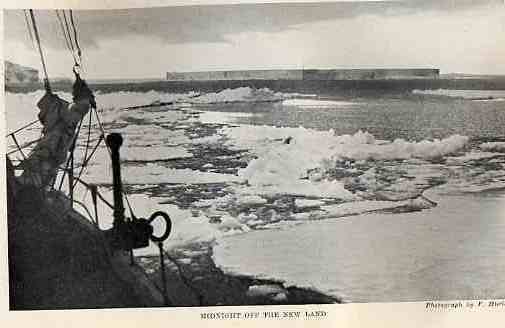 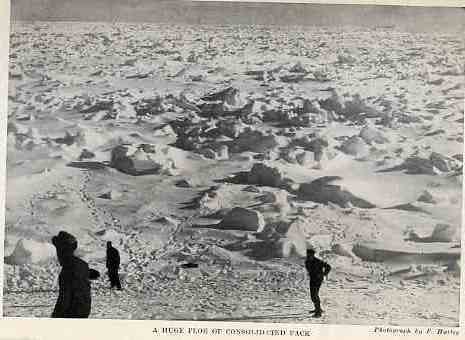 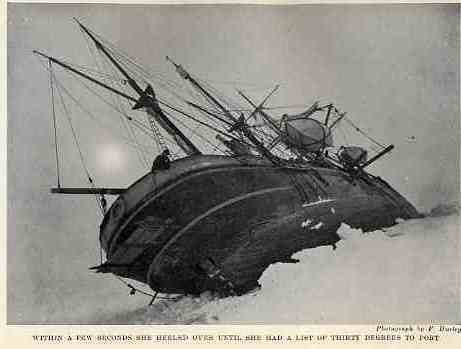 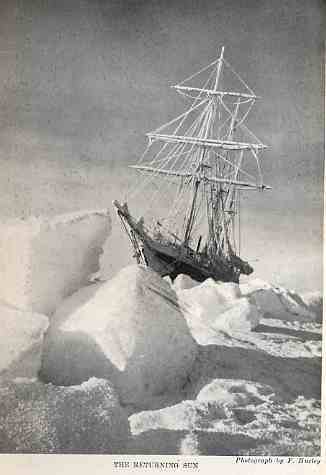 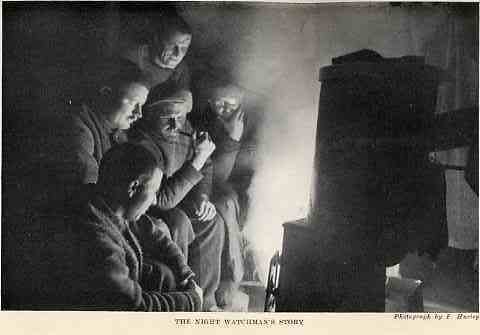 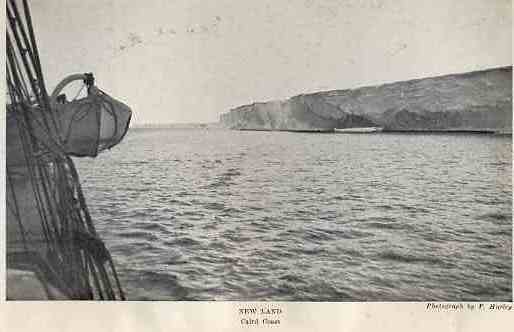 Captain Frank Wild and the Endurance in the Weddell Sea. 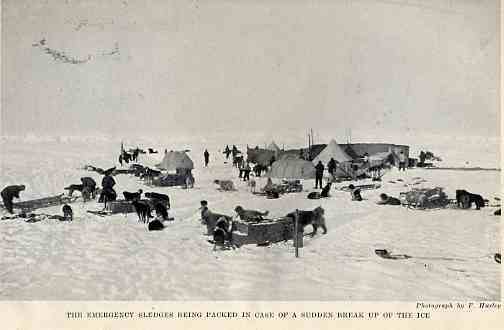 Spring was arriving and the ice floes that the crew were camping on would break up sometime and without warning, the men had to be prepared. 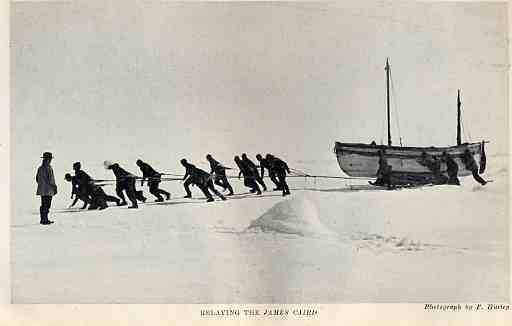 Named after one of the sponsors of the expedition, the lifeboat James Caird was to prove vital in the task of returning the crew of the Endurance to safety. 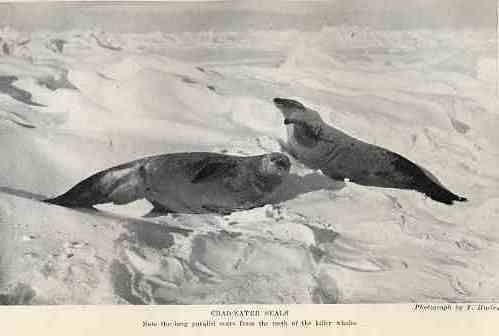 The nicknames given to the cook and his assistant, they were almost permanently black with the soot that came off the seal blubber used to fuel the cooking stoves. 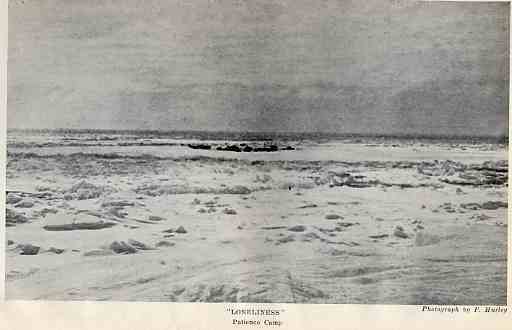 The camps the crew made were tiny oases in a vast expanse of white nothingness. 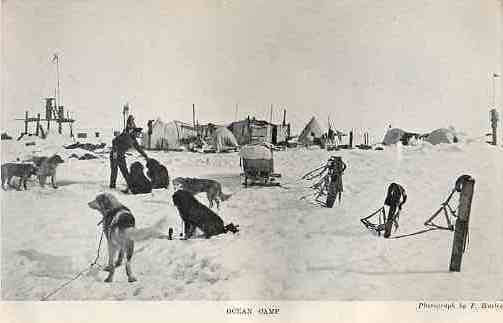 This camp is where the crew stayed while waiting for the ice they were camping on to break up and allow them to continue their journey by boat, in all they stayed here three months - patiently. 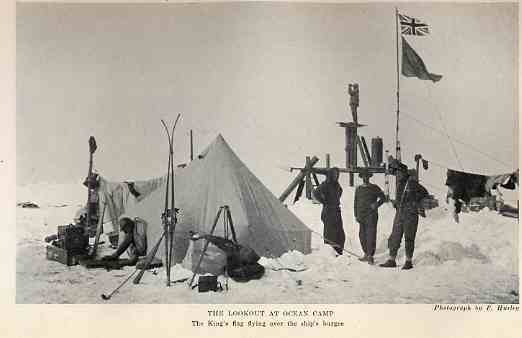 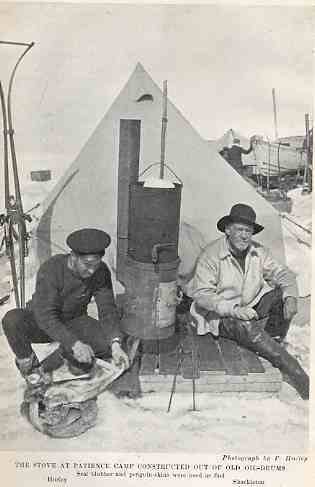 Frank Hurley, left and Ernest Shackleton, right in front of their tent. 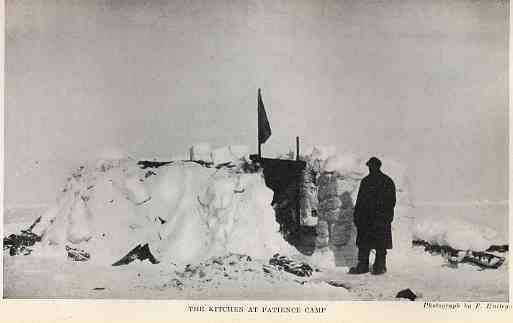 The camps were far from static and drifted as the ice drifted carrying the crew of the Endurance a considerable part of the way to Elephant Island. 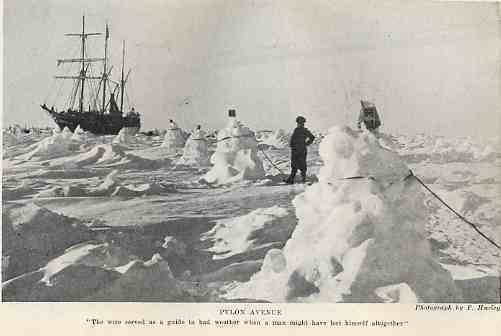 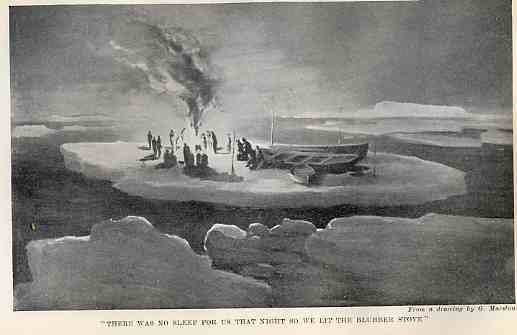 Escaping the heavy pack ice was hazardous at night, so the boats were hauled onto ice floes which was safer, though carried the danger of the floe breaking up in the night. 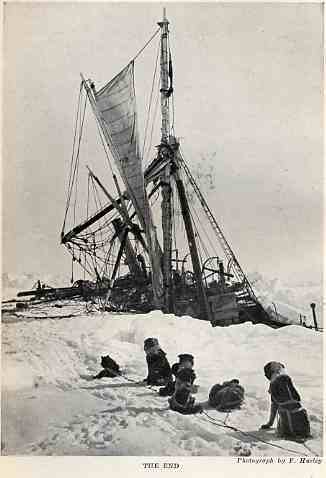 Not an envious place to be - on an unstable piece of ice, but with too much ice surrounding to safely launch the boats lest they be crushed or damaged by the ice around.